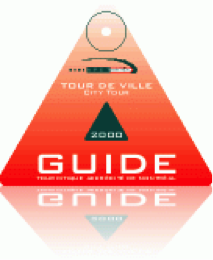 1930 – Introduction of the first tourist guides to the City of Montréal. 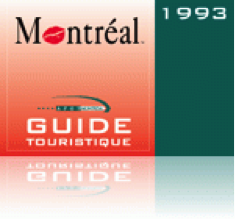 1960- The City of Montréal adopts the By-Law regulating the tourist guide profession. 1967- Montréal tourist guides participate in the International World’s Fair: Expo 67. There was a record number of coach driver guides to conduct tours. 1976- APGT becomes an official non-profit organization. Montréal tourist guides participate in the XXI Summer Olympic Games in 1976. 1982- adoption of the General By-Laws. 1984- With the deregulation of the transportation industry, “step-on guides” were introduced. No longer, must groups coming from North America disembark passengers from their own coaches and transfer them on to local coaches. However, local tourist guides are still required by law. Adoption on January 30, 1985 of the Association’s Code of Ethics. First life member: Roger Boulanger. A distinctive item of clothing and uniform were created for APGT members consisting of a purple tie for gentlemen and a scarf or bow for ladies with the APGT’s logo on it. The name of the Association was modified, the word “Professional” replaced “Provincial” and the words Montréal Chapter were added (from Association provinciale des guides touristiques to the Association professionnelle des guides touristiques, chapitre de Montréal). Annual surveillance began to verify legitimate guides, promote the profession, inform coach drivers and tour directors of information to assist them and ensure a pleasant stay. Surveillance is carried out voluntarily during the busy season by the Executive board members of the APGT. Sadly, the APGT accepted the abolition of the By-Law. In order to help organise the next two years and face the competition, the City of Montréal grants the APGT $20,000 CAD. December 19, 1995, nomination of the second life member: Hubert Morency. In the winter, the Vice-President takes the first steps at forming a possible National Federation of tourist guides in Canada. Toronto, Québec, City and Ottawa are hosted at the APGT’s office for an initial meeting. All Canadian associations become members of the WFTGA and agree to host the participants during the pre and /or post tour of the Convention in their regions. In the fall, the APGT Convention Committee announces that the 7th WFTGA convention has made a surplus of $20,000 CAD. The Convention Organising Committee announces that the money is to be used only for Marketing and Promotion of its members. International Tourist Guide Day, February 21: the APGT offers tourist guides on all airport transfers and a happy hour for the members. Due to the excellent organisation of the 7th WFTGA Convention by the members of the APGT, the APGT Montréal won a ULYSSES in 1998, a tourism prize of excellence. Participants from Montréal attend the 8th WFTGA Convention, held in Hong Kong, China. Surveillance and promotion are resumed by the Marketing Committee to ensure that only professional licensed tourist guides are working. APGT gets a new design of triangle and membership card. International Tourist Guide Day, February 21: The Marketing Committee organised a visit for the police officers and cadets who work on the front line. It is a huge success and APGT has been asked to offer this to all new Montréal police officers. Tours for the general public are also offered. International Tourist Guide Day, February 21: the Marketing Committee launches the APGT Website and new distinctive clothes are launched and given to all members. Participants from Montréal attend the 10th WFTGA Convention, held in Dunblane, Scotland. Participants from Montréal attend the 11th WFTGA Convention, held in Melbourne, Australia. Participants from Montréal attend the 12th WFTGA Convention, held in held in Cairo, Egypt. First workshop on freelance worker status and liability insurance for tourist guides. Participants from Montréal attend the 13th WFTGA Convention, held in Bali, Indonesia. Complete redesign of the APGT’s website. Complete redesign of the website, creating a blog, opening an Instagram account. Second year of micro visits ( 8) with the aspirants – guides the ITHQ .